The most popular destination to cruising is the blue waters of the Caribbean. The sun, sand and surf adds to the fun. 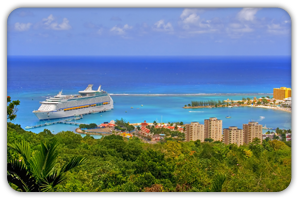 There are new ports to visit like the Banana Coast; Amber Cove, Dominican Republic; Harvest Cay Belize; Port Zante St. Kitts and Sugar Point Barbados. The wonders of Alaska. Nature at its finest. From salmon fishing to sight seeing, visiting America’s last frontier is a vacation experience for both young and “young at heart” alike. 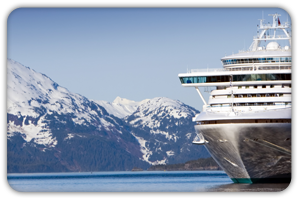 We’ll help you plan your Alaska vacation by adding a land excursion on either end of your cruise, allowing you to get up close and personal to the wonders of the area. River Cruising has fast become one of the most popular forms of cruising today. It’s slow pace and relaxing atmosphere is hard to beat. 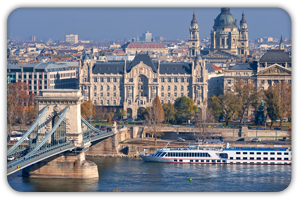 River cruises often dock right in the heart of the cities they visit, allowing passengers to see amazing destinations without having the travel miles from the port to the heart of the city. For more info, visit our River Cruises page.